Even though electric ranges are the most popular choice out there, we also started to hear a lot more about the dual fuel ranges. 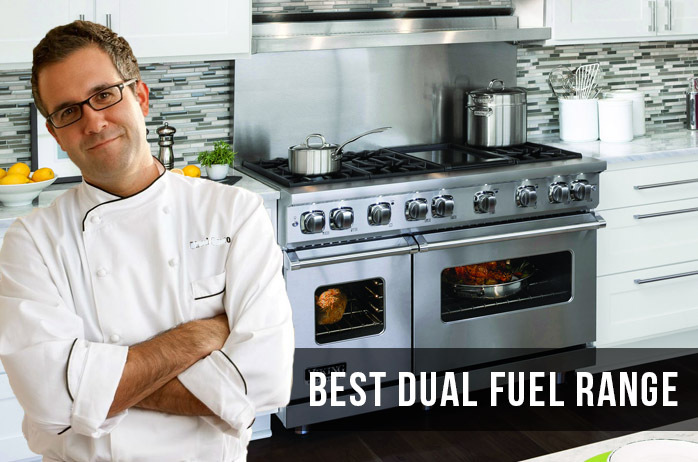 Just between you and me (and anyone else out there), the dual fuel ranges are the best cooking appliances if you’re asking a chef. What’s the story with the dual fuel range? 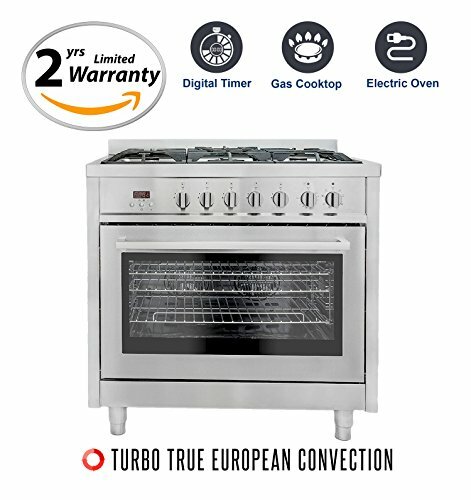 Why get a dual fuel range? Unlike a gas range that heats the cooktop and the oven with gas, a dual fuel range heats the oven with electricity and the cooktop with gas. The best part about this type of range is that it gets accurate temperature control of electricity to heat the oven. This way, you don’t get the temperature fluctuations that you get in a gas oven. It may be that a gas range is the best option for your home, but a dual fuel range gives you an amazing temperature control. When it comes to the price, it’s very true and obvious that a gas range is cheaper than a dual fuel one. In addition, if cooking isn’t quite your thing, having a very accurate range isn’t essential either. After all, cooking some meats and vegetables isn’t that complicated and you may very well do it with a gas oven. When you want to step up your game though and really enjoy cooking, getting a dual fuel range may be the natural decision. Baking the sophisticated desserts requires not only the skills and the passion, but also a very good appliance that gives you stable oven temperatures and the dual fuel range does that. The cooktop is gas, the oven is electric, and this is why the dual fuel range is the best choice for a cooking & baking enthusiast. Add the lower costs and the best results you’re going to get on your baking, and you get to understand why a dual fuel stove may be the best thing for you and your cooking. 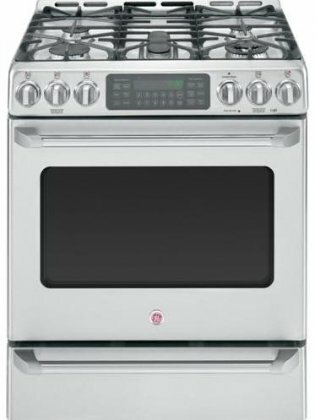 When your mind is set into getting a dual fuel range, but your budget is a bit tight, don’t be afraid to take a leap of faith with the GE JGS750SEFSS 30″ Stainless Steel Gas Slide-In Sealed Burner Range – Convection. This dual fuel stove comes with a pretty large convection electric oven that gives you the chance to get so much better when it comes to baking some sophisticated desserts. The electric oven has a 5.6Cu ft. capacity and it’s self-clean. The list of good things continues with the PowerPlus feature so that the oven needs only a couple of minutes for preheating. As for the burners, the dual fuel range comes with 4 sealed burners that give 750-17000BTUs. The build is good, the design is well thought out, and the continuous grates helps you move a lot easier the heavy pots. The 30” slide-in dual-fuel range is easy to use and its one-touch button is so responsive. The display of the buttons is clear and the use is quite intuitive and user-friendly. As long as you’re installing it right, the dual fuel stove meets the appliance standards in the American with Disabilities Act and the Architectural Barriers Act Accessibility Guidelines as well. The appliance is smudge proof and its body is easy to clean. 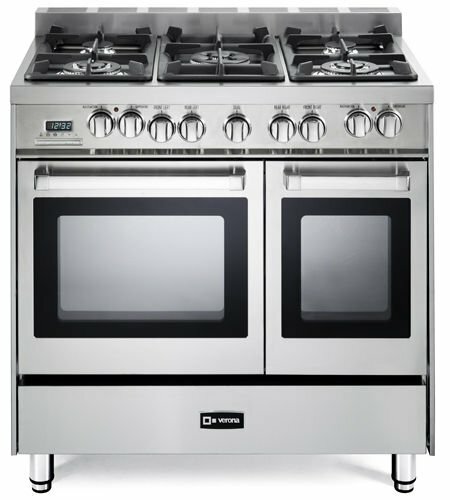 The stainless steel looks nice and elegant and the dual fuel range takes the intense use. The temperature for the electric oven is accurate every time and you can definitely improve your baking skills. Considering the price you pay, we’d say you don’t end up with a lemon when getting the GE JGS750SEFSS. If you’re not very fond of the electronic controls on your appliances and would rather use the reliable and old-fashioned manual controls, give it a go with the Thorkitchen HRD3088U 30″ Freestanding Professional Style Dual Fuel Range. The appliance features 4 burners that are easy to use and heat very well. You get one 18,000BTU burner, two 12,000BTU dual burners and one-15,000BTU dual burners with 650 BTU simmer feature. The burners are sealed for safer use. The oven has a 4.2 cubic feet capacity and is great for multiple cooking also. It’s an electric convection oven that helps you improve your baking skills. The appliance comes with adjustable legs so you get the best fit for your kitchen. The controls are all manuals and all the knobs and switches work just fine. Made with stainless steel, the dual fuel range looks nice and it’s easy to clean. The oven is manual clean only, but the performances are commercial grade. All in all, the dual fuel stove is a good choice for many and offers commercial grade performance for a fair price. 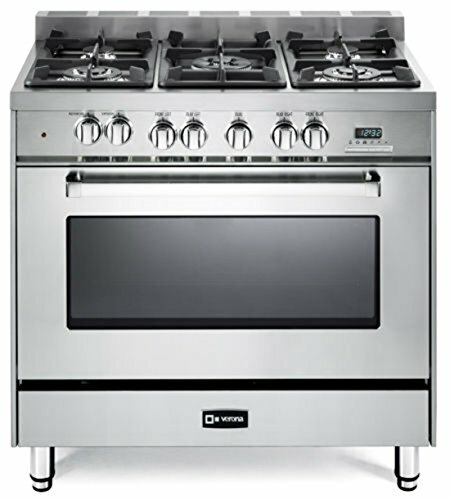 Nice looking and fairly priced for its performances, the Cosmo F965 36-Inches Dual Fuel Gas Range with 3.8 cu. ft. Oven is a good buy for many. 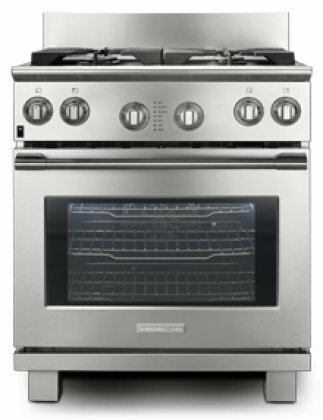 The dual range fuel comes with a 3.8 cu ft. electric oven that features a turbo true European convection. The oven has 2 adjustable racks that glide smoothly in any of the 5 shelf positions. The dual fan assisted heating elements sustain an even distribution of the heat around your food, which means your food is ready faster, and even at a lower temperature. The freestanding gas range comes with 5 gas burners that provide heat ranging from 5,000BTU to 18,000BTU. The list of features isn’t short and the stove comes with a backsplash that is protective and easy to remove. The range may be used free standing or slide in range as well. The body is made with stainless steel, whereas the knobs are all metal. Therefore, the stove not only looks nice, but it’s also long lasting. 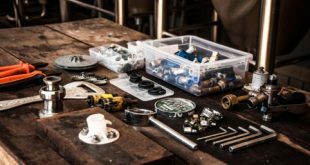 The range comes ready for gas, but you may get separately an LP gas conversion kit. Its feet are attachable for best adjustment and the security chains on the back secure the range into the wall. Regardless the minor step backs, we still think the dual fuel range is an option to consider when you want to improve your cooking skills. Nice looking and reliable on many levels, the Profile P2S920SEFSS 30″ Profile Series Slide-in Dual Fuel Range is a good investment to make for your kitchen. The appliance comes with 5 burners that are sealed and have a 5000-20000BTU. The center burner is oval and the appliance includes a 20,000BTU tri-ring burner as well. The griddle/grill is made with cast iron and it’s also reversible. There is a great use of space on the griddle. The convection oven comes with warming drawer and has a big capacity, 5.8 cu ft. to be more accurate. The racks are very easy to move around and the oven doesn’t heat on the outside when in use. The drawer has adjustable heating, from low to medium or high. The oven is also self-cleaning, so you’re one worry free. The digital display is not just nice looking, but also user-friendly. There are many features to control on the dual fuel range and the digital display makes everything so easy. It’s responsive also. The dual fuel stove has a slide-in design so it fits so nicely in a kitchen. Its stainless steel appearance completes its looks and makes it so easy to clean. Easy to use, adjustable on many levels and looking pretty neat, the dual fuel range shouldn’t be missed on next time you’re shopping. The solid build and the nice looks of the Electrolux Icon E30DF74GPS Professional 30″ Stainless Steel Dual Fuel are some of its best assets, but the stove brings many good things to the table. The range comes with 4 sealed burners that are easy to use and reliable. The ones in front give high power and the other ones in the back are dependable as well. The continuous grates seem durable and it’s easy for you to handle the big pots on the grates. The convection oven heats well and even and you baking is going to improve. The oven comes with self-clean feature so you don’t need to worry about the cleaning. The oven racks are solid and glide smoothly every time. The stove presents fully integrated control panel that is responsive and user-friendly. There are many features to control and it doesn’t take you long until you get the hang of it. The simple design of the range makes the use so easy and makes it look so nice and clean. The feet of the range are tough and the stove is easy to install. All in all, for a good price, you get a dependable, easy to use and clean looking dual fuel stove that doesn’t disappoint. 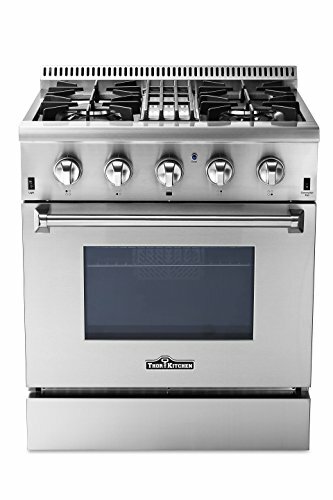 If you’re thinking about getting a dual fuel range, don’t hesitate to give it a go with the GE C2S985SETSS Cafe 30″ Stainless Steel Dual Fuel (Gas) Sealed Burner Range. The dual fuel range is effective and has many features that make it a dependable choice for quite some time. 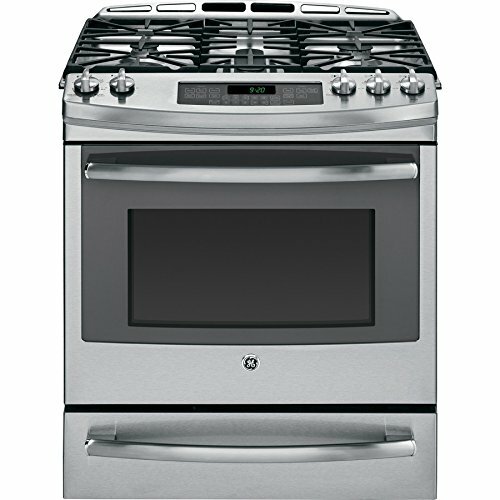 The appliance features a 240V electric oven and a 20,000BTU natural gas cooktop. The burners work well and the cooktop comes with both griddle and grate for the center section. This convection electric oven features a baking drawer and its temperature ranges from 140 t0 450F degrees. It also has a self-cleaning function so the maintenance is easier for you. The use of the stove is both easy to safe and a lockout button on the front panel makes it safe when you have little kids around. The range has a slide-in design for a better blending into any kitchen, but comes with its own legs for better leveling. It’s easy to cook and to bake with the stove and the burners are also easy to clean. The convection fan is rather quiet, whereas the two lights in the oven helps you see “what’s baking”. Regardless the minor problems, the range is still a good and dependable choice for many. Very safe to use around children and presenting a good build, the Verona VEFSGE365NSS 36″ Freestanding Dual Fuel Range with 5 Sealed Burners is a nice made in Italy surprise for many. The range is one of the most popular Verona models and gives performance on a professional level. It features a 16,000BTU power burner in the center of the cooking surface so you may safely accommodate the large stockpots. The cooking is faster and stronger due to the high efficient dual control triple burner that spreads the heat under the bottom of the cookware and not only around the edges. The convection oven is multi-function and gives you seven cooking modes to use. The full-width storage compartment offers a good amount of storage space and the soft door closure works so smooth. The digital clock and timer make the use easy and the rigid 304Stainless steel leaves a durability feel. The knobs and handle are made with chrome so look nice and take the intense use as well. The porcelainized cast-iron grates and caps increase the durability and improved the looks of the range. The pilot light in the oven is helpful as it is the wok ring. The stove has top and bottom broiler as well and is high powered. The gas turns off automatically when the flame is put out and the heating is even all the time. The more you’re willing to pay for your appliances, the more you can expect when it comes to performances and overall quality. 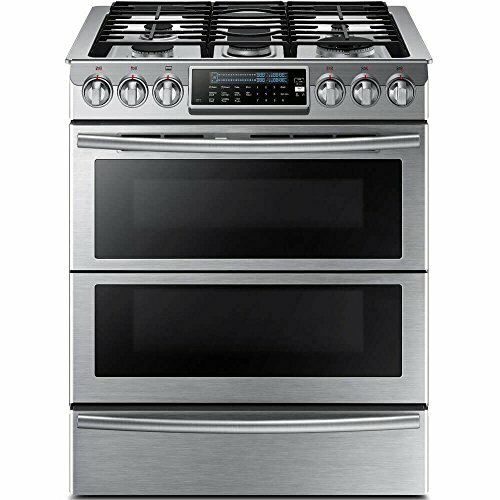 The Samsung Appliance NY58J9850WS 30″ Slide-in, Dual-Fuel Range is a very good example on that and its adjustable features give you the chance to become better at your cooking and baking. The range presents a well thought out design and it comes with Dual Door for the oven, which gives you versatility and so many options when baking. The upper is 2.4cu.ft. large and the lower part has a 3.3 cu.ft. capacity and the convection flex duo oven is great. The top cooker comes with 5 sealed burners that give a nice heating range from 5000 to 22,000 BTUs. The brass burners are adjustable and easy to control. The appliance has full touch controls and its guiding light system doesn’t just increase the safety, but also makes it look so nice. The blue LEDs are bright and look nice. The screen is made of glass and gives the stove an elegant vibe. The attention to details is great and the black grates are continuous and matte, for easier use and nicer appearance. We also notice the Steam Quick technology that lets the range cleans itself. The griddle is reversible and you may easily use the large pots. The knobs are made of metal and have a solid feel and the appliance is well engineered. It has a great setup and t the best cook ever. Nevertheless, for the high adjustability, easy use and nice appearance, you should totally rely on this one if ever in need. When you’re ready to step up your game in cooking and baking, put your money at stake into something like the Verona VEFSGE365NDSS 36″ Pro-Style Dual-Fuel Range. The appliance features 5 sealed burners that heat very well. They are chrome plated aluminum burners that are easy to adjust. The 2 European Convection Ovens give you the opportunity to bake more and easier every time. The ovens are multi-function programmable. The storage drawer is made of stainless steel and gives a good amount of space to store some pots and trays. It also looks very nice. The small back guard protects the walls of your kitchen and the range comes with adjustable legs so you can get the perfect height for your countertop. The hinge is quiet and the digital clock and timer work great. You don’t need a standing pilot for lighting the burners and the range comes with LP conversion kit. The stove is well engineered and the combination of the fan and circular element around it provides uniform heat distribution, with minimal risk for cold spots. It’s safe to use the range and the gas turns of automatically when the flame is put out. The knobs are made with real steel and the stove looks very elegant. Giving the great features, the good build and the nice appearance, we still think the range is a good investment of your money. 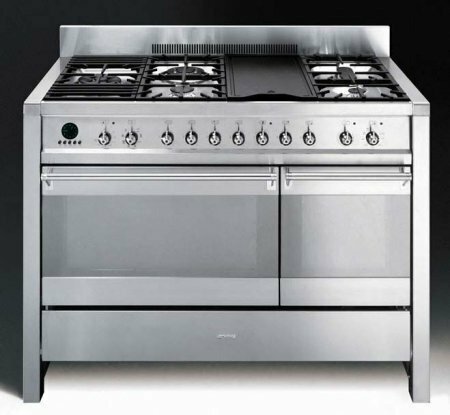 For the cook that is interested in the commercial grade dual fuel range, a beautiful and high performant option is the Smeg A3XU6 48″ Freestanding Dual Fuel Cavity “Opera” Range. The dual fuel range comes with 5 sealed burners and an electric grill that gives you so many option on cooking. True European Convection Oven has a nice capacity of 3.2 cu.ft. in addition, the range includes also a secondary multi-function static oven. The range presents an Ever-Clean enameled oven interior, which is always useful. The stove is made with AISI304 stainless steel so it’s durable build combines amazing with beautiful looks. The digital analogue LED electronic clock works well and the stove is easy to use. There are many details that make the use easy and smooth. The grates are full-width and continuous so it’s not difficult for you to move around the big pots, whereas the ovens feature stainless steel storage drawer for storing pots and trays. The range also features a 4” stainless steel backsplash that is rather easy to remove. The appliance comes with a programmable timer, triple glazed removable door and a roof liner. The thermostat is adjustable from 120 to 450F degrees and you may have 8 cooking modes on the main oven. The secondary oven offers you 4 cooking modes and has a smaller capacity (1.48 Cu Ft.). Let’s not forget to mention the automatic electronic ignition or the gas safety valves. The ventilated door features an effective cooling system that minimizes risk for overheating. No matter the small issues, for the quality and performance, we’re very positive about this dual fuel range as a great choice for the commercial grade use.